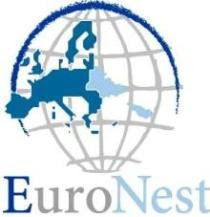 Blog of the Progressive Alliance of Socialists and Democrats in the Euronest Parliamentary Assembly. During the four years between the unveiling of secret tapes made by a presidential guard in November 2000 that implicated President Leonid Kuchma, the speaker of parliament, and the security forces in the abduction and murder of an opposition journalist and the 17-day Orange Revolution four years later, the Ukrainian opposition mobilized, increased in strength, and improved its tactics to go on and defeat the authorities' presidential candidate, then-Prime Minister Viktor Yanukovych. International monitoring organizations and Western governments had cried foul and refused to accept the legitimacy of Yanukovych's "win" in the second-round runoff. The Supreme Court annulled the results on December 3, 2004, and called for a rerun later that month, which opposition leader Viktor Yushchenko won. Fast-tracking the clock forward five years after Yushchenko's largely wasted presidency, and the discredited candidate of 2004, Party of Regions leader Yanukovych, is elected in what international organizations describe as a free election. 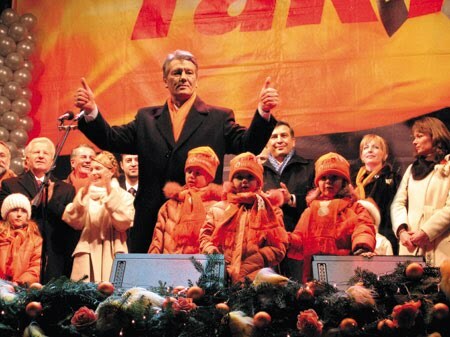 Yushchenko, the hero of the Orange Revolution, comes in fifth with just 5 percent of the vote, far less than the 44 percent received by incumbent President Leonid Kravchuk in 1994. Both Yushchenko and Kravchuk served only one term. Kuchma, although severely weakened by the 2000 revelations about his role in Heorhiy Gongadze's murder, went on to serve a second term. Concerns about his slide into authoritarianism only surfaced during that second term (1999-2004). In that respect, Kuchma's presidency differed from that of Yanukovych, who in his first two months in office has already raised concerns about his consolidation of power and his willingness to attempt a second time to impose on Ukraine the "Donetsk model," one that closely resembles Russian Prime Minister Vladimir Putin's nexus of business-politics-government. Within a month after Yanukovych's election as president in February, the new administration was again accused of backsliding on democracy, and the opposition has branded the April 8 Constitutional Court ruling endorsing the manner in which his coalition was formed by factions and individual defectors a "coup d'etat." Is the opposition capable of again successfully reversing today's drift to authoritarianism, as it did in the Kuchma era? Probably not, because today it is more divided and weakened than in the first half of the decade. Ukraine's slide into authoritarianism in the Kuchma era, and Yanukovych's attempt to win power through a rigged election in 2004 were both blocked by a strong and largely united opposition that closed ranks behind Yushchenko. During Kuchma's second term, the opposition was stronger than today, but nevertheless still split. Ukraine's center-right national democrats have collectively never been able to make up their minds whether they wanted to be in opposition or statists (derzhavnyky). Yushchenko himself always wavered between a grand coalition with the Party of Regions or an "Orange" alliance with Yulia Tymoshenko. This indecisiveness led in the 1990s to a weak opposition that was unable to impede the rise of an oligarchic class. From 2001 to 2003, Yushchenko never felt comfortable in opposition, and if his government had not been removed in April 2001 by a parliamentary vote of no confidence, he would have loyally served Kuchma until the end of his term, perhaps even becoming his chosen successor. It was only after the failed attempt to poison him in September 2004 that Yushchenko and his Our Ukraine party unequivocally embraced a radical opposition stance, vowing to take to the streets if there was election fraud. Key pro-business leaders in Yushchenko's team, nicknamed the "Dear Friends," preferred a grand coalition with the oligarchs and the Kuchma camp to unity with other opposition forces. Petro Poroshenko, head of Our Ukraine's 2002 election campaign, defected to Yushchenko only after losing the contest for leadership of the newly formed Party of Regions to Mykola Azarov, then head of the Tax Administration and now prime minister. Poroshenko's Solidarity Party was one of five that had merged to form the Party of Regions in 2001. Another was Kyiv Mayor Leonid Chernovetskyy's Beautiful Ukraine party; Chernovetskyy supported Yanukovych in the 2010 presidential election. Another member of this group is Yuriy Yekhanurov -- Ukraine's answer to Russia's Boris Nemtsov -- who as head of the State Property Fund managed the privatization process that created the oligarchs who emerged in the late 1990s. Like Poroshenko and former Foreign Minister Arseniy Yatsenyuk, Yekhanurov has always been a staunch opponent of Tymoshenko. After the 2006 elections, Yekhanurov was tasked by Yushchenko with negotiating a grand coalition of Our Ukraine-Party of Regions that was ready to be signed in early June 2006, but fell through. Ivan Plyushch, although elected in September 2007 as a deputy in Our Ukraine-People's Self Defense (NU-NSO), always refused to join the democratic (Orange) coalition. Plyushch continues to defend the scandalous February 2001 letter (released in the same month that Tymoshenko was arrested on trumped up corruption charges) that he co-signed as parliament speaker with President Kuchma and Prime Minister Yushchenko denouncing the opposition as "fascists." Yushchenko never defended Tymoshenko while she was in prison, and the Yushchenko national democrats never supported Kuchma's impeachment, unlike Tymoshenko and the Socialists. Yatsenyuk, leader of the Front for Change party, another virtual center-right party established from the top down in 2008, will unite the so-called Dear Friends in the 2012 parliamentary elections. Yatsenyuk placed fourth in the 2010 election with 7 percent of the vote but, unlike Serhiy Tihipko (who came third with 13 percent), he refused to join the Stability and Reforms coalition and the Azarov government. Like Our Ukraine, the left were never fully committed to the opposition. The Communist Party (KPU) had joined with oligarchic parliamentary factions to vote no confidence in the Yushchenko government in April 2001. After 2004, the KPU continued its alliance with the oligarchs, joining the 2006-07 Yanukovych and 2010 Azarov coalitions and governments. In 2003-04, the Socialist Party (SPU) and KPU cooperated with presidential-administration head Viktor Medvedchuk in preparing the constitutional reforms that parliament failed to approve in spring 2004. These were eventually adopted by parliament in December 2004, with only the Yulia Tymoshenko Bloc (BYuT) voting against them. SPU leader Oleksandr Moroz and KPU leader Petro Symonenko did not support a united opposition candidate in the 2004 presidential elections, but instead put forward their own candidates. But Moroz backed Yushchenko in the two second rounds (in exchange for his support for constitutional reforms), while KPU voters backed Yanukovych. Comparing the Kuchma era and the situation today, five conclusions can be drawn. First, the opposition is weaker today than it was in the four years prior to the Orange Revolution. At the same time, Yanukovych's team is stronger than that of Kuchma. Kuchma's personal authority and standing were irreparably damaged both at home, as reflected in the defeat of his For a United Ukraine bloc in the 2002 elections, and in the West, where he was shunned because of the Gongadze murder, a scandal over the illicit sale of four Kolchuga radar systems to Iraq, and other evidence the tapes made by presidential guard Mykola Melnychenko yielded of his abuse of office. In 2004, the opposition had just two presidential candidates (Yushchenko and Moroz), while in 2010 the former Orange camp had three times as many. Second, Tymoshenko is the strongest component of the weaker opposition. But, unlike in the Kuchma era, Tymoshenko is not a parliament deputy, which undercuts her ability to function as opposition leader. She maybe also be less able to unite the opposition than was Yushchenko in 2004. Third, Yushchenko remains unwaveringly obsessed with, and hostile to, Tymoshenko, unlike in 2001-04 when they joined forces and cooperated. The NU-NSO bloc is more divided today than Our Ukraine was under Kuchma. Meanwhile, the NU-NSO bloc's initial nine parties in 2007 have grown to 13, fracturing the center-right, which fielded multiple Orange candidates in 2010. Fourth, the lack of a center-left component to the opposition makes it weaker. In 2000-03, the SPU, which then had approximately the same electoral support as the BYuT, was a strong supporter of the opposition. It was SPU leader Moroz who made public to a shocked parliament in November 2000 the clandestine tape recordings that documented Kuchma's involvement in the murder of Gongadze. The SPU had earlier helped Melnychenko to flee from Ukraine to Prague. Since 2006-07, the SPU has lost support because Moroz failed to step down as its leader after voters deserted the SPU following its July 2006 defection from the Orange coalition to the Party of Regions. Moroz finished third in the preceding three presidential elections, but only 11th in 2010. That self-destruction of the SPU permitted the ideologically vacuous Volodymyr Lytvyn bloc to be elected to parliament in 2007 in its place. Following Yanukovych's election as president, the Lytvyn bloc deserted the democratic coalition and joined the pro-Yanukovych Stability and Reforms coalition, a U-turn that resembles the SPU's 2006 defection. The consequences for the Lytvyn bloc will be as defeating in the 2012 elections as for the SPU in 2007. Fifth, in 2000-03 young people did not identify overwhelmingly with one single opposition force. It was only in 2004 that they became a crucial component of the Yushchenko campaign through the "yellow" and "black" wings of "Pora" (It's Time) and other youth NGOs. In other words, the generation born between when Soviet leader Mikhail Gorbachev came to power in 1985 and the disintegration of the USSR six years later emerged as "Generation Orange." Today the situation is different. Disillusioned by five years of Yushchenko's presidency and infighting among the former Orange Revolution allies, many young Ukrainians have withdrawn from politics, while a minority have been attracted by the extreme right Svoboda (Freedom) Party led by Oleh Tyahnybok. The "Yellow" Pora wing evolved into another virtual center-right political party. It failed to enter parliament in 2006, but succeeded in 2007 as one of nine parties in NU-NSO. The Constitutional Court's recent ruling legalizing the new coalition effectively precludes early elections in the fall. The opposition therefore has two years to plan, mobilize, and develop new tactics and strategies before the next parliamentary elections in September 2012. The 2012 parliament will be very different from the two parliaments elected after the Orange Revolution in 2006 and 2007. In 2012, gone will be the KPU, the Lytvyn bloc, and mega-center-right blocs such as NU-NSO. In will be the Party of Regions and BYuT, competing again for first and second places, followed in third and fourth places by new liberal political forces (Yatsenyuk, Tihipko), with the nationalists (Yushchenko, Tyahnybok) possibly entering parliament in last place. The views expressed in this article are the author's own and do not necessarily reflect those of S & D.